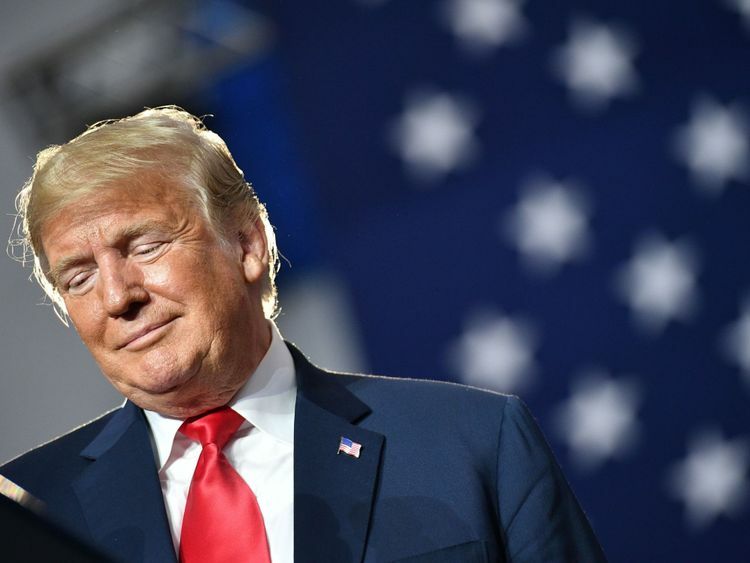 The National Republican Senate Committee compared the artwork to an infamous photo of American comedian Kathy Griffin holding a fake decapitated head of the US president, which cost her a contract with CNN and led to several of her shows being cancelled. She was even briefly investigated by police over the controversial image, which Mr Trump described as “sick”. 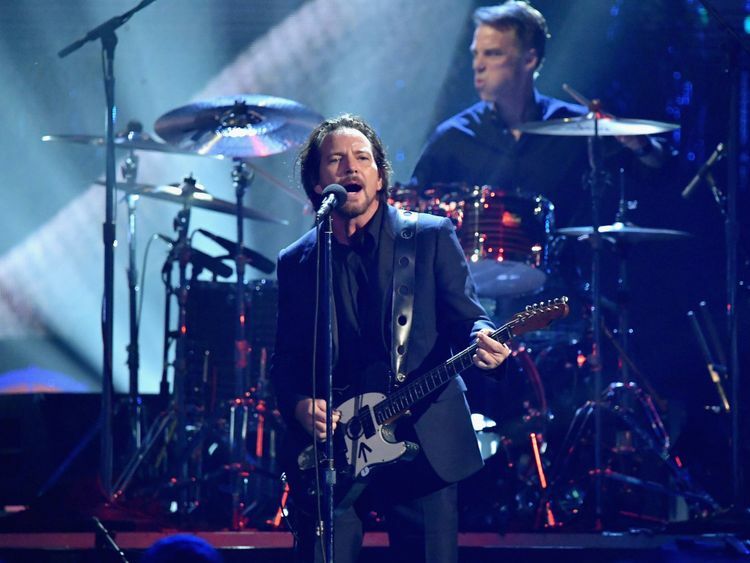 The president has not yet commented on the Pearl Jam poster, which was designed to promote a Rock2Vote concert aimed at encouraging young people to vote against the Republicans in the November midterm elections. The gig took place in Montana on Monday, where Democrat senator Jon Tester will face a challenge from Republican candidate Matt Rosendale, who is also depicted on the poster with a crab claw for a hand carrying a Maryland flag. 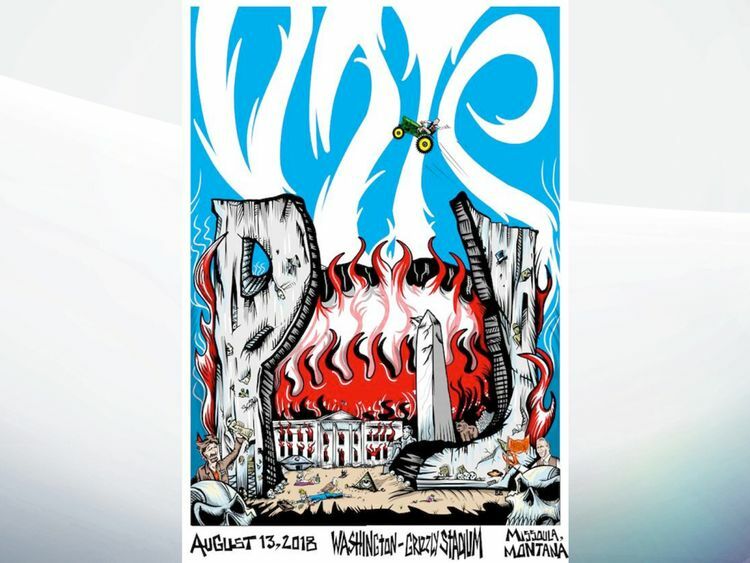 Pearl Jam bassist Jeff Ament collaborated with artist Bobby Brown on the poster, which Mr Rosendale has condemned as “disgusting and reprehensible”. The Republican committee called on Mr Tester to speak out over “gory” imagery, which it said was “encouraging violence” against the president. A spokesman for the Democratic candidate said his team did not like the poster and that they “don’t condone violence of any kind”. Earlier this year, Ament – who referenced “Russian money, golf courses and hookers” in his description of the poster – admitted he was keen to use the Montana concert to boost the Democrat campaign. He said it was “important to have a congressman that can sort of make people think less emotionally about some of these things”.